The Creativity Portal is a one-stop shop for teachers, community learning leaders and educators across lifelong learning. Creativity is increasingly recognised as an essential higher order skill for learning, life and work and is a vital element in the delivery of Scotland’s Curriculum for Excellence. By creating an account you can even recommend content to other users and experience a view of the Portal tailored to your own specialisms. The Creativity Portal is a key element of Scotland’s Creative Learning Plan and the strong partnership that exists between Creative Scotland and Education Scotland. Scotland's national Creative Learning Plan is a clear statement that we as a country value creativity. 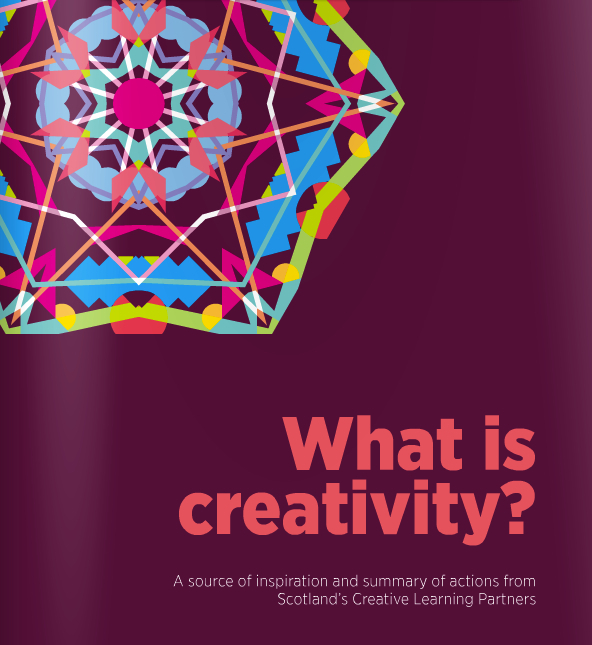 Don't miss the top five resources that explore our understanding of creativity here in Scotland.